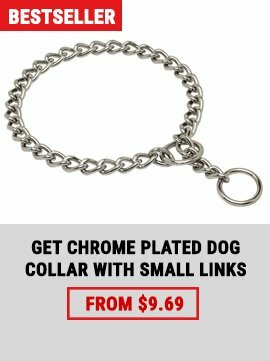 37 others have looked at this page today. 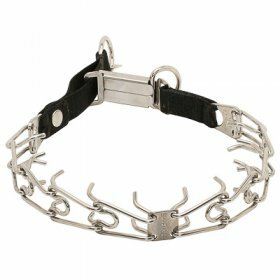 Do you consider your canine to be the most naughty creature in the world? 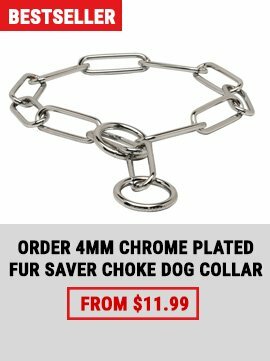 Do you feel like you need to do something about it? 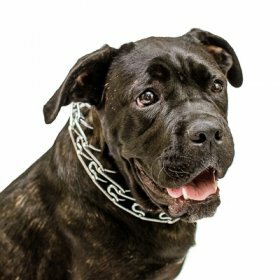 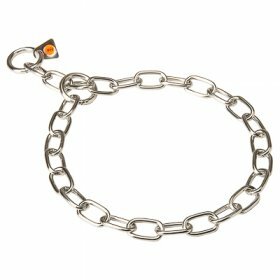 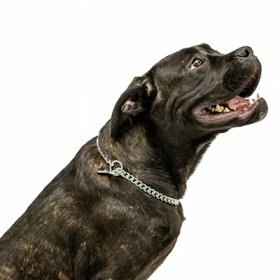 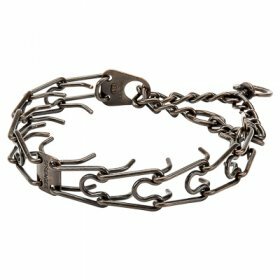 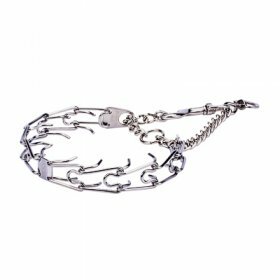 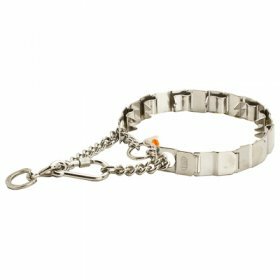 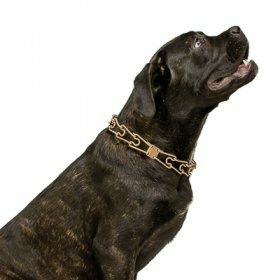 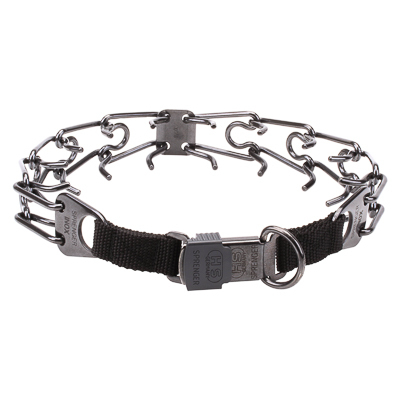 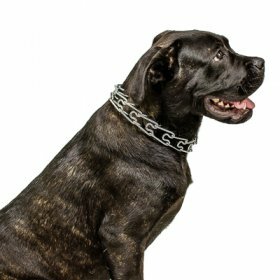 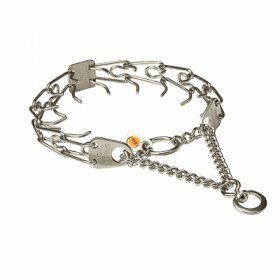 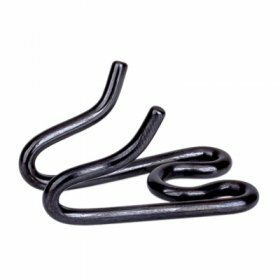 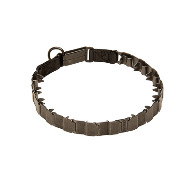 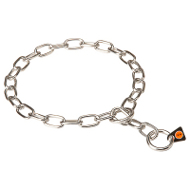 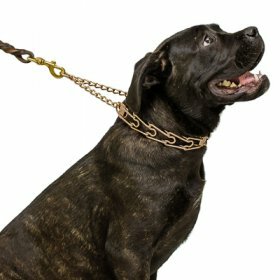 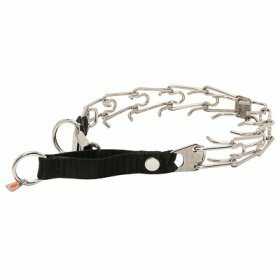 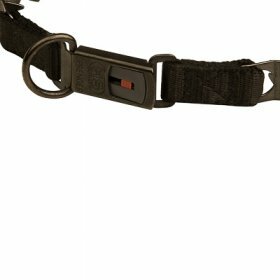 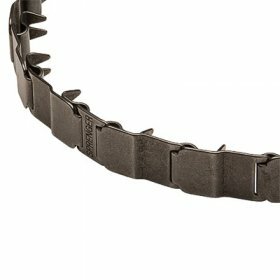 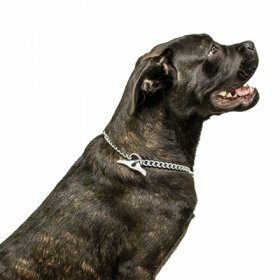 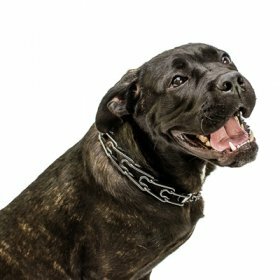 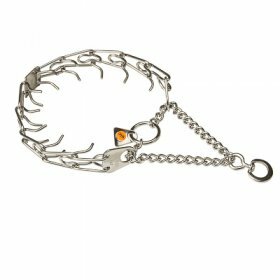 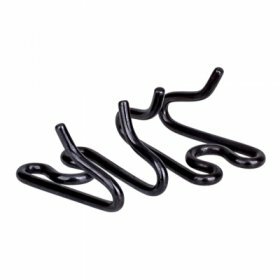 Forget about behavioral problems with this black stainless steel pinch collar. 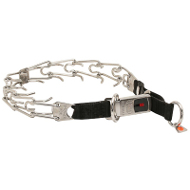 With the help of this device and proper training, you will be able to achieve amazing results in behavior correction. 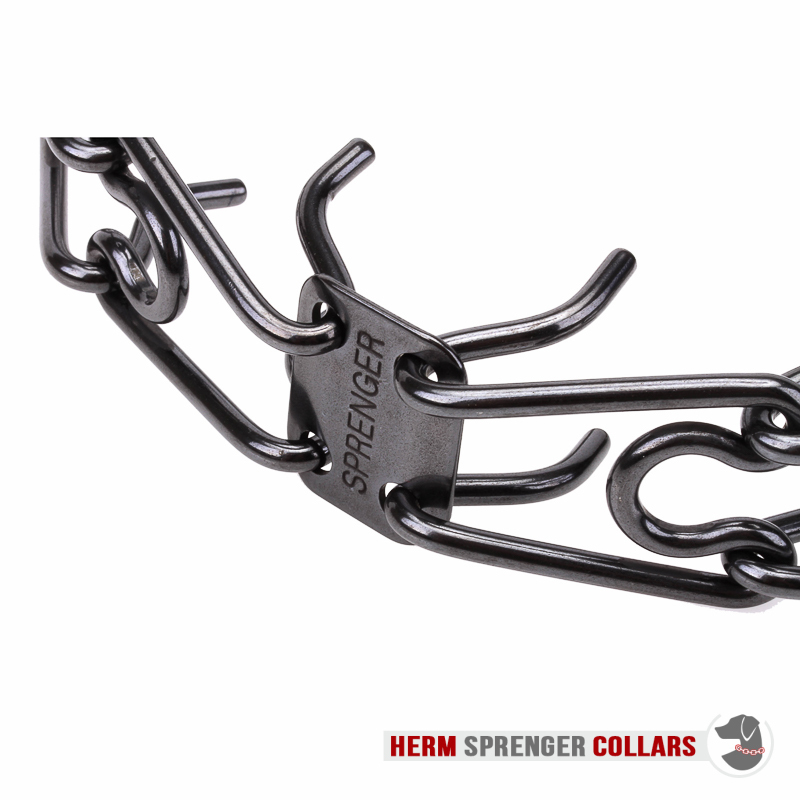 You will be pleasantly surprised with the Herm Sprenger quality and and how your dog responds to the tool. 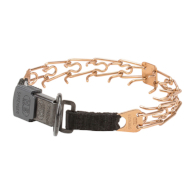 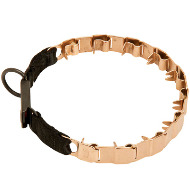 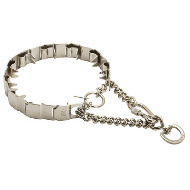 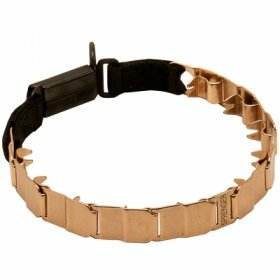 The collar consists of a center plate, D-ring, click-lock buckle and symmetrically arranged prongs. 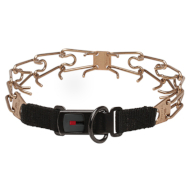 The center plate guarantees an equal distribution of pressure along the collar. 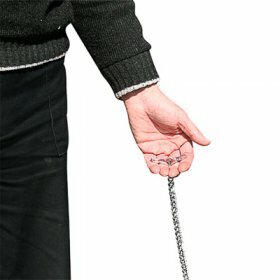 The D-ring serves for leash attachment. 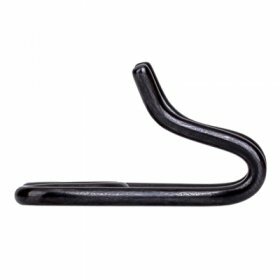 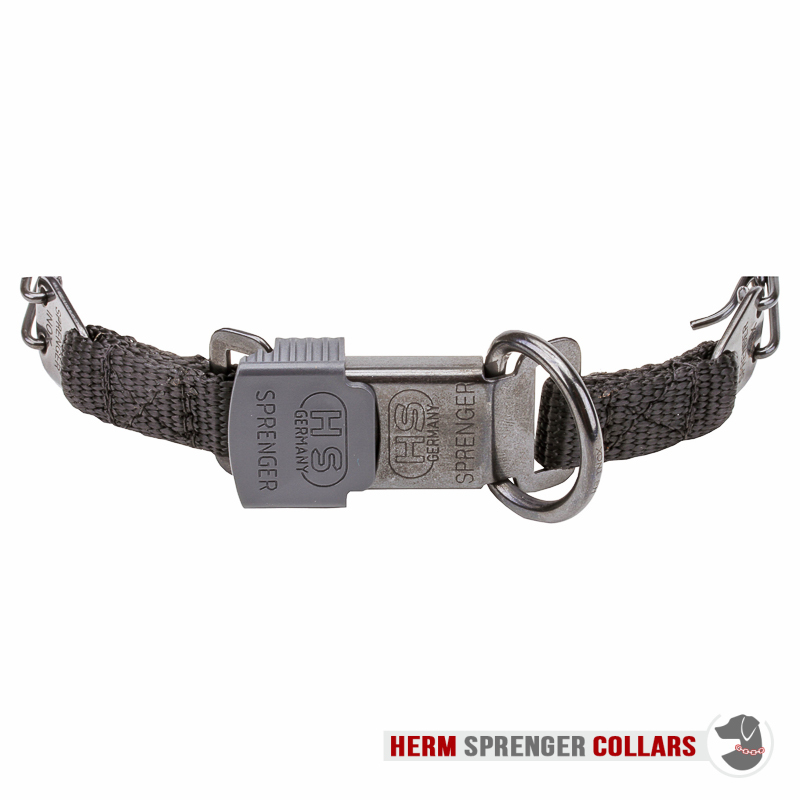 A click-lock buckle provides a more secure connection protecting from accidental unlocking. 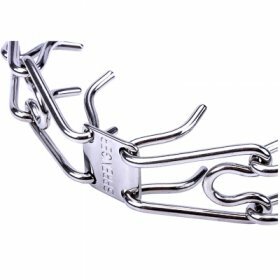 It can withstand the load up to 440 lbs (200 kg). 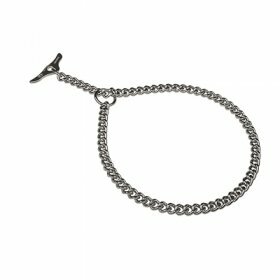 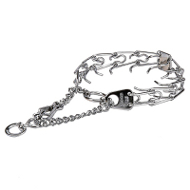 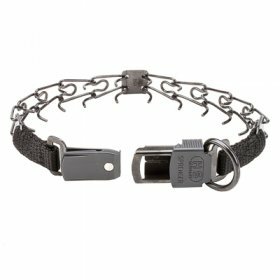 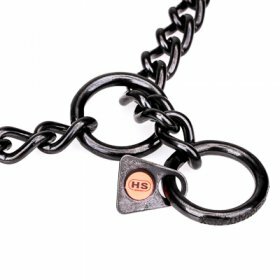 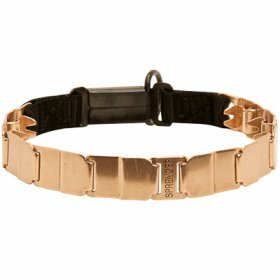 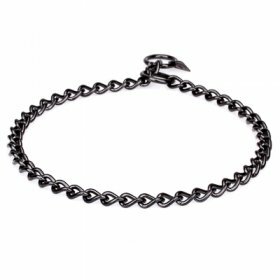 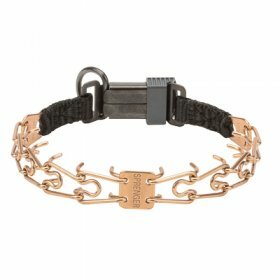 This black stainless steel collar is suitable for dogs with dark fur and those canines who are not reactive to nickel. 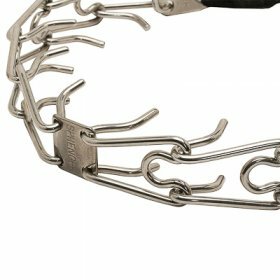 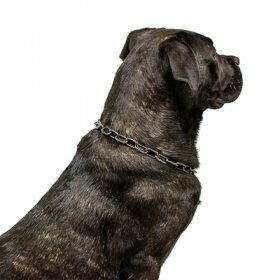 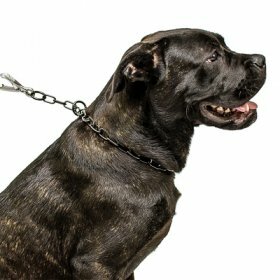 The collars made of black stainless steel are not recommended for dogs with light coat, as because of normal abrasion processes they may color fur. 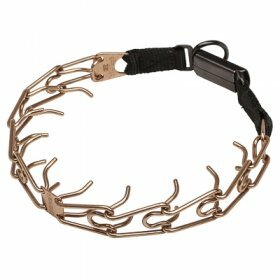 If your dog has light fur, we advise to order a nickel free curogan collar. 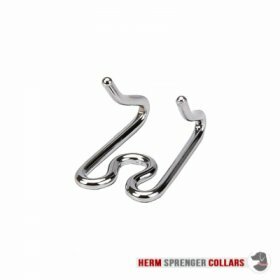 Check the tab “SIMILAR PRODUCTS” to see all the options. 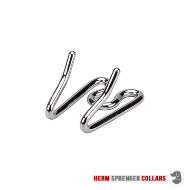 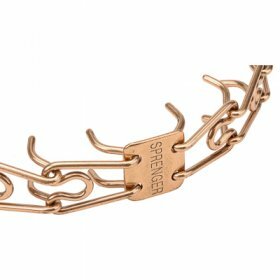 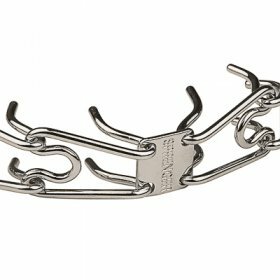 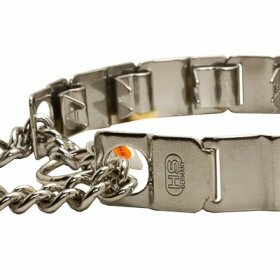 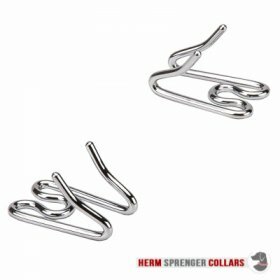 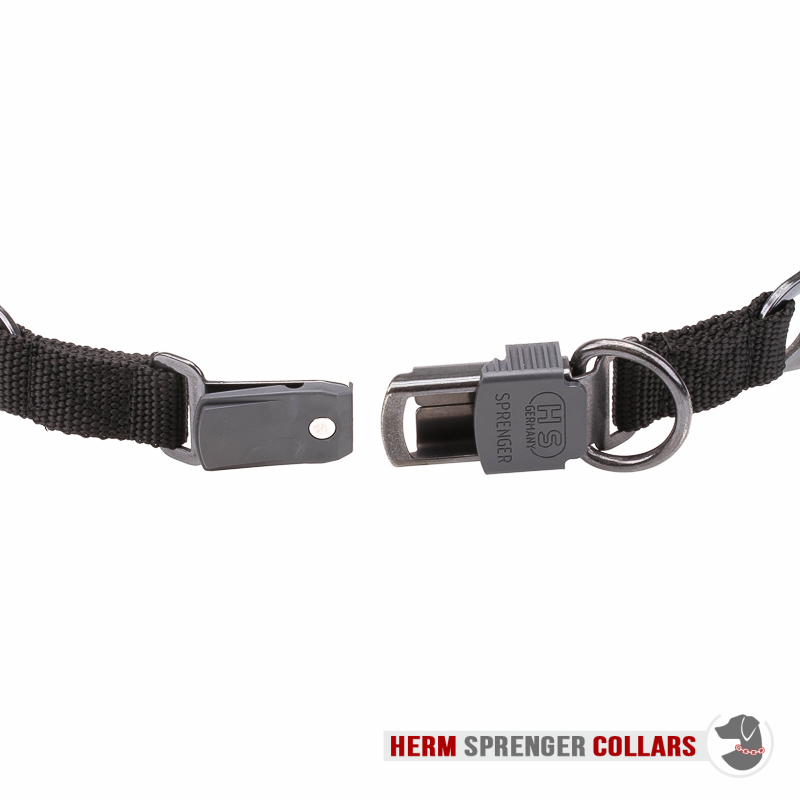 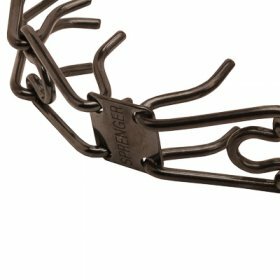 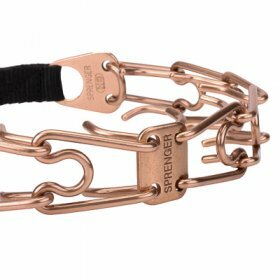 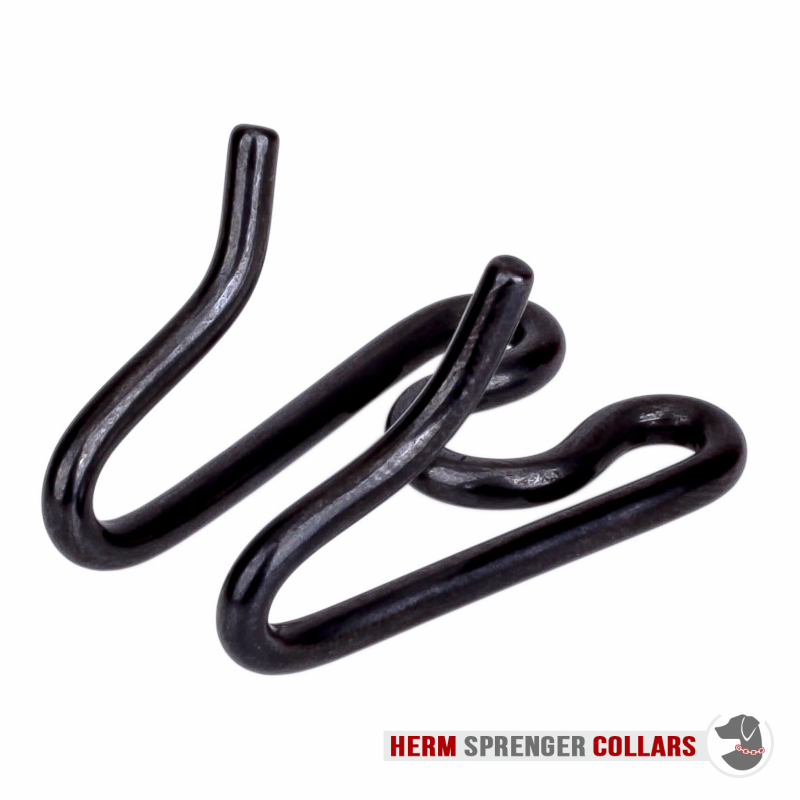 All Herm Sprenger pinch collars come in a standard length which is adjusted to fit the neck of the dog by removing or adding links to the collar. 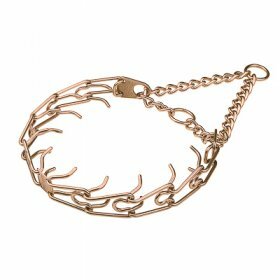 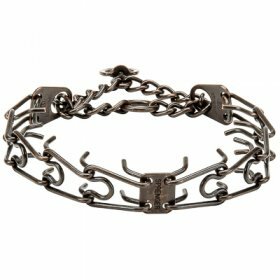 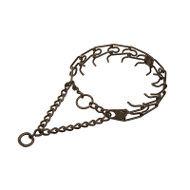 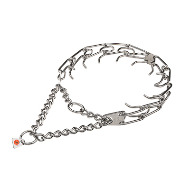 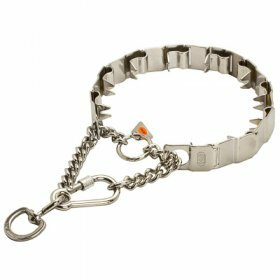 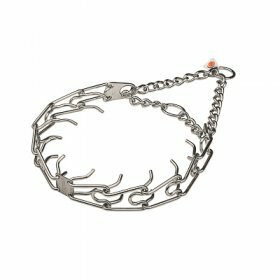 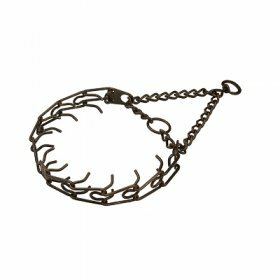 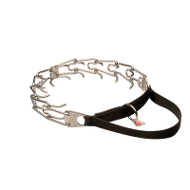 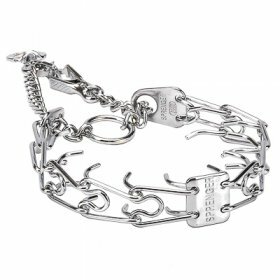 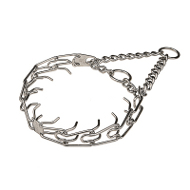 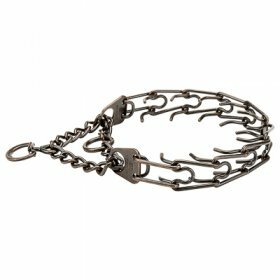 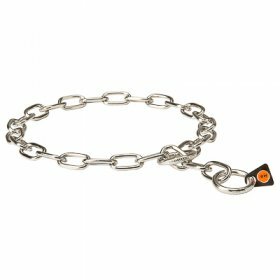 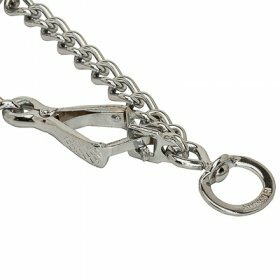 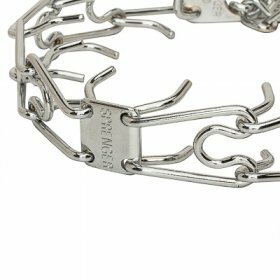 The size of this particular pinch collar is 16 inches (41 cm) with prong's diameter - 1/11 inches (2.25 mm). 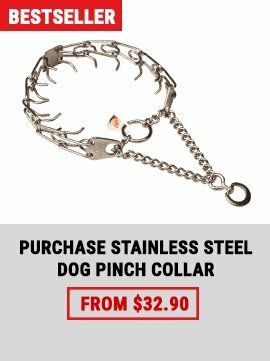 So, it will do for dogs with 14 inches (36 cm) neck size. 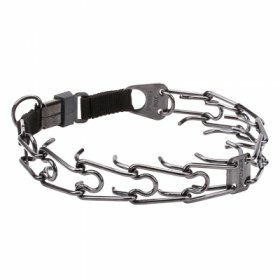 If your dog's neck circumference is more than 14 inches (36 cm), you can order additional links. 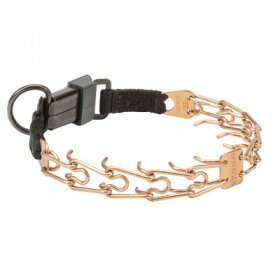 Each will add 1 1/5 inches (3 cm) to the total collar length. 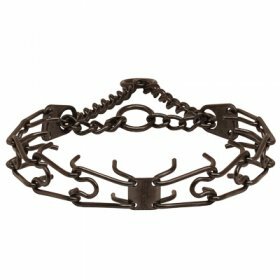 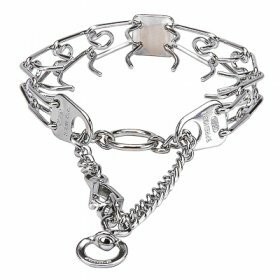 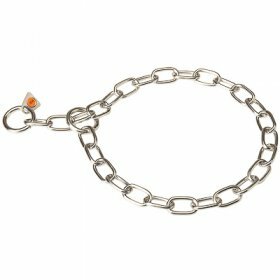 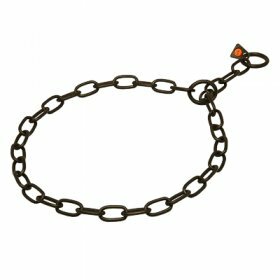 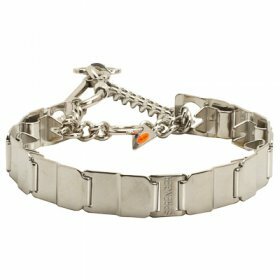 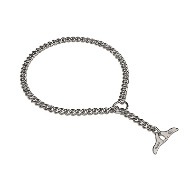 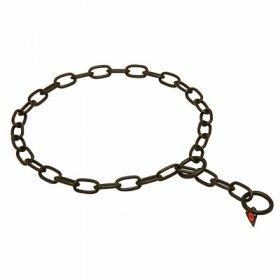 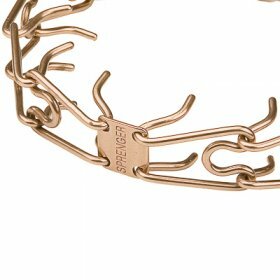 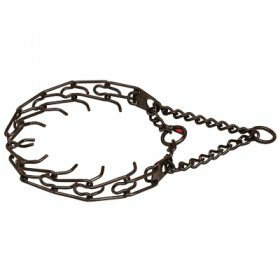 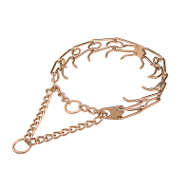 Go to the tab “YOU MAY ALSO WANT” to learn more about extra links for this prong collar. 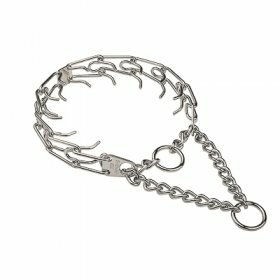 It’s a good tool for obedience training and behavior correction. 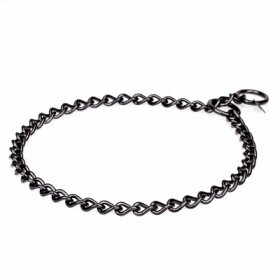 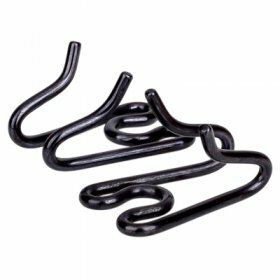 Has an unusual black color. 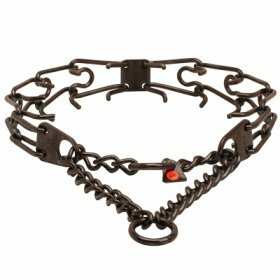 Prongs are blunt and carefully polished not to harm a dog. 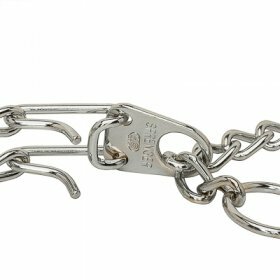 A click-lock buckle provides a more secure connection.